I used this to help tame the hot spitting that can happen with some juices. Just cut a sheet out and lay over your RBA coil head. 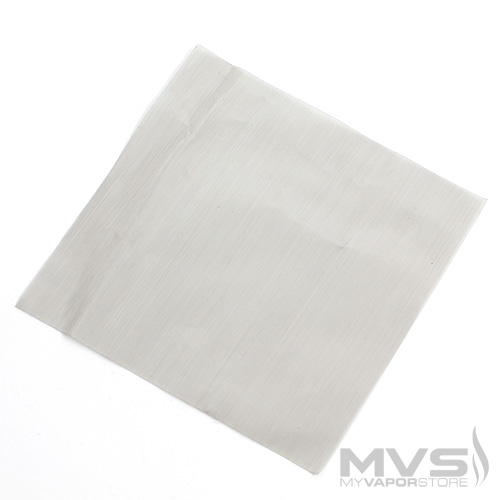 I thought I'd try this mesh because I heard it was better for heavy VG juice, but I didn't find it to be so. It seems similar to 400x400. I think half the trick is to keep the wicks loose fitting and tilt your genesis atty so the juice runs down the wick regardless of the type of wick. Going to try the other grades of mesh in the future to confirm.